Everything from how much creatine to take, to whether it's safe, and what type is the best is covered below in this 12,000 word article. Given its length and the amount of information contained in this article, I have also created a simple 1-page overview guide that answers all the key questions without all the scientific backing. 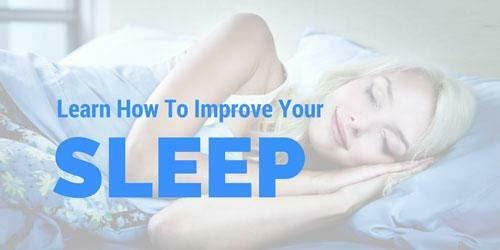 You can download this guide by clicking HERE. In this one page report I have condensed all the important questions with the key answers, giving you a handy reference sheet that you can share with friends, clients, training partners or simply for yourself to refer to. If you are looking for a detailed answer to your question, then please use this guide. I have included all links to the studies I reference. Finally, if you really want to geek out on creatine, then read this article from top to bottom. However, if you are just looking for an answer to a particular question, click one of the shortcut links in the table of contents below. Alternatively, use the 'Find' function on your device to search for a keyword within this article. Remember to also download the one page 'cheat sheet' guide that supplements this comprehensive article. Click the question to jump to the answer below. Does the Body Make Creatine? Where is Creatine Stored in the Body? What's the Difference Between Creatine and Creatinine? Where is Creatine Naturally Found? What Foods Are High In Creatine? Do We Consume Enough Creatine In Our Diet? Does Cooking Affect the Creatine Content In Food? Is Creatine Supplementation Safe to Use Long Term? Can Too Much Creatine Be Dangerous? Is Creatine Bad For Kidney Health? Is Creatine Bad For People Who Have Kidney Issues? Is Creatine Bad For Liver Health? What about Creatine Supplementation and Methylation? Does Creatine Increase DHT Levels? Does Creatine Cause Bloating & Stomach Issues? What are the Cleanest Creatine Supplements? Does Creatine Cause Frequent Urination? What Are The Health Benefits of Creatine? What Are The Performance Benefits of Creatine? How Long Until I See the Performance Benefits from Creatine Supplementation? Should Endurance Athletes Use Creatine? Does Creatine Benefit Trained Athletes? Are There Non-Responders to Creatine? Does Creatine Affect Men And Woman Differently? Is Creatine Safe for Pregnant Mothers? Is Creatine Safe for Children and Teenagers to Use? Is Creatine Safe for Vegans and Vegetarians? Should the Elderly Supplement with Creatine? Do We Need To Supplement With Creatine? What Form Of Creatine Is Best? Tablet, Powder or Liquid? Is There Any Point In Taking Creatine Right Before a Workout? Do I Need to Take Creatine Everyday to Reap the Benefits? Or Can I Just Take it Every Now and Then? Should I Split Up My Creatine Dose Throughout the Day? Should I Take Creatine Alone or With Other Nutrients? Should I Take Creatine With Carbs? Should I Take Creatine With Beta Alanine? Should I Take Creatine With Alpha-lipoic Acid? Should I Take Creatine With Betaine? Should I Take Creatine With Baking Soda? Should I Take Creatine With D-Pinitol? Should I Take Creatine With Caffeine? Should I Use Creatine If I'm Trying To Lose Fat? Does Creatine Help With Fat Loss? Where Can I Get An Easy To Read One Page Overview of This Article? Creatine is a naturally occurring compound made up of the amino acids methionine, arginine and glycine. Creatine is one of the most researched supplements in the world and has 100's of studies that show it's performance and health benefits. Commonly stored in muscle tissue, it is also found in the brain and the testes. A human eating a typical omnivore diet will ingest around 1g of creatine a day. However, creatine as a supplement has exploded in recent decades as its performance and health properties came to light. Creatine is so effective for health and performance as it helps support ATP production (Adenosine triphosphate). ATP is a molecule used in cells for energy. The most common form of creatine (and also the most widely used in the literature) is creatine monohydrate. This is a synthetically made compound that appears a white powder. It is tasteless and odourless, mixes reasonably well but does have a granular texture. The body synthesises creatine in the liver, kidneys and pancreas through a reaction process that begins with the amino acids methionine, arginine and glycine. On average this is about 1 gram a day. But there are some rare genetic disorders that disrupt this production process. 95% of the bodies stored creatine is in muscle tissue (with 5% in the brain and testes). Two thirds of the creatine found in the muscle are stored as phosphocreatine (PCr) and the remaining is stored as free creatine (1). Creatine helps production and re-synthesis of ATP, providing increased energy over short periods. ATP, or adenosine triphosphate, is a rapidly exhausted energy source that is used throughout the body. ATP molecules generate energy when one of the 3 phosphate groups bound to ATP is lost (hence the name triphosphate). In turn, the resulting molecule is ADP adenosine diphohspahte. Creatine allows the body to recycle ADP into ATP by donating phosphate to the ADP molecule. This 'recycling' process is largely dependant on the amount of stored creatine (phosphocreatine PCr) in the body. As PCr levels drop, the energy output falls. This is why creatine is so beneficial to performance athletes who train or compete in short bursts (weight lifters, sprinters etc) as creatine allows the muscle to produce higher levels of output for longer. Creatinine is a breakdown product of creatine phosphate in the body. As outlined above, creatine is synthesised in the organs of the body. It is then transported through the blood to the muscles and brain and is stored as phosphocreatine with the help of creatine kinase. Creatinine occurs during this conversion process. It is then removed from the body by the kidneys. High levels of creatinine may show in a blood test when the kidney filtration levels are deficient. About 1-2% of muscle creatine is converted to creatinine, with males having higher levels of creatinine (2). Increased consumption of creatine or protein can increase daily creatinine excretion levels. Also, eating well-cooked meat can increase creatinine levels (heat destroys the creatine found in the meat) and so can intense exercise. Primarily in muscle tissue, but also in the brain and testes. The best natural food sources of creatine are herring followed by sardines and red meat. Cooking destroys some of the creatine. It depends on your diet and also your goals. A male eating a typical omnivore diet will ingest on average 1g of creatine a day. A female on the same diet is around 0.64g a day (6). A vegan or vegetarian will not be near this number. Most performance and health benefits of creatine come as a result of levels beyond the 1 gram the body makes and the 1 gram ingested through food (most studies recommend eating at least 2g a day through diet). Vegetarians often see the greatest performance boost when they supplement with extra creatine. Creatine can be stored in muscle tissue, so those who eat a lot of cold water fish and red meat may not see much benefit from extra creatine supplementation compared to those who don't eat much of this food source (vegans being the obvious example). Yes. 30% of it is destroyed by heat. Heat will destroy about 30% of the creatine content in food and convert it to creatinine (4). It is important to note that creatine is made in the body and occurs naturally in our diet. Though there are some anecdotally reported side effects of creatine supplementation (which I will cover individually below), studies done looking at the medical safety of creatine have indicated that creatine is not associated with any of these reported problems. In fact, there is evidence to show that creatine supplementation can have beneficial health outcomes (9). Other than a few minor and infrequent indirect side effects of creatine supplementation, there are no serious health risks from creatine supplementation. There is no evidence to suggest that long-term creatine supplementation has any negative health consequences. Creatine has been used by athletes since the 1960's. Though it wasn't until the 1990's where it really became widely used. In fact, there are numerous studies showing that creatine supplementation on a long term (1-5years+) had no ill health effects. One group of individuals taking 1.5g - 3g of creatine supplementation a year was monitored for 5 years. They had no significant side effects (10, 11). A retrospective study on 26 athletes across various sports who used creatine for 1-4 years showed no adverse health effects (12). A shorter, but a more detailed 2-month study on football players supplementing with 3grams of creatine a day (after a 15g a day week long loading phase) revealed that the "8 weeks of [creatine monohydrate] supplementation had no negative effects on blood and urinary clinical health markers in football players.' (13). "No strong evidence linking creatine supplementation to deterioration of [ gastrointestinal, cardiovascular, musculoskeletal, renal and liver functions] functions has been found. In fact, most reports on side effects, such as muscle cramping, gastrointestinal symptoms, changes in renal and hepatic laboratory values, remain anecdotal because the case studies do not represent well-controlled trials, so no causal relationship between creatine supplementation and these side-effects has yet been established. The only documented side effect is an increase in body mass. Furthermore, a possibly unexpected outcome related to creatine monohydrate ingestion is the amount of contaminants present that may be generated during the industrial production. Recently, controlled studies made to integrate the existing knowledge based on anecdotal reports on the side effects of creatine have indicated that, in healthy subjects, oral supplementation with creatine, even with long-term dosage, may be considered an effective and safe ergogenic aid.(14). Unsure. Though there is no point taking high dosages. Most studies have participants use 1-20g of creatine a day. As outlined above, there are no reported health consequences from this amount. As for going beyond these levels, firstly there is no point in doing so. The body can only uptake and store a certain amount of creatine. Studies have been done where one group took 5g of creatine a day, and the other group took 20g a day. After 30 days both groups had the same amount of creatine in the muscle tissue. More is not better when it comes to creatine. Once the muscle is saturated with creatine, the body will excrete the rest. There are no studies on creatine supplementation in humans that show significant damage to the kidneys. Athletes taking 5-20g of creatine a day for up to 5.5 years showed no detrimental effects on kidney function (16). Excess ingested creatine is removed from the body via the kidney and excreted in the urine. A healthy individual with properly functioning kidneys are able to excrete creatine, and it's end product creatinine, that does not affect renal function (17). High doses of creatine (21g a day) over short periods (2 weeks) also have no detrimental effects on kidney function (18). Even in individuals with only one kidney, creatine at high levels (5-20g/day) and a high protein diet (2.5g/kg/d) did not cause any kidney issues (19). A randomised, double-blind, placebo-controlled trial was performed over 3 months using similar variables (high creatine, high protein) and at the conclusion, the participants assigned to the creatine and high protein diet had no ill changes to their kidney function (20). High creatinine levels in the urine used to be a gold standard for measuring kidney disease, but creatine supplementation may increase creatinine levels and this may act as a false indicator of renal dysfunction. However, it is important that you avoid creatine supplements that are high in contaminants, as these toxins can harm the kidney. More on this in the 'safe brands' section below. Only for those who are taking diuretics, otherwise no. Creatine is processed by the kidneys, and the kidneys are a detoxifying organic in the body. As outlined above, creatine supplementation doesn't impact the kidneys health even after a few years of regular supplementation. But what about people who have an existing kidney issue? The above studies were all done on humans with healthy kidneys (with the exception being the individual who only had one kidney, and remember creatine had no health consequences for this individual). The research on this is limited, so drawing an accurate conclusion is difficult. There is a 2004 study that looked at creatine supplementation on chronic hemodialysis patients (kidney dialysis - a process of purifying the blood in a person whose kidneys are not functionally properly). The study looked at how creatine affected homocysteine concentrations in these patients (chronic hemodialysis patients tend to have high levels of homocysteine in the blood). The patients received 2g of creatine a day for 4 weeks, with a break of 4 weeks, then another 4 week treatment period. At the conclusion of the trial the researchers found that creatine didn't affect homocysteine levels, but did increase plasma and red blood cell creatine levels (meaning more uptake of creatine was happening). There were no changes in general health, nutritional status and B vitamin levels for the patients who were taking creatine (28). Again, it's not a conclusive finding for individuals with kidney issues who want to take creatine, but it is a positive finding nevertheless. As human studies are lacking, we have to look at animal studies. There was one rat study that looked at creatine supplementation in male Wistar rats who had pre-existing kidney failure. This paper found that creatine supplementation didn't impair kidney function in rats with pre-existing renal failure (29). Finally there is a potential issue with creatine negatively impacting the health of those taking diuretics. This may be the only known mechanism whereby creatine should be avoided by someone with a kidney disease (or any disease) who takes diuretics. The only potential harm from creatine on the kidneys, which is currently theoretical (based on case studies), are in cases where somebody has a kidney disorder that is being treated with diuretics. In some medical conditions diuretics can help the patient and consuming anything that increases water retention can work against the drug; creatine, as an osmolyte, may very well increase water retention and work against diuretics (30). A long-term (5 year) study on adults using 5-20g of creatine a day found no detrimental effects on liver or kidney functions (16). However, it is important that you avoid creatine supplements that are high in contaminants, as these toxins can harm the liver. More on this in the 'safe brands' section below. Creatine synthesis requires S-adenosylmehtionine (SAMe). Supplementing with creatine down-regulates the need for creatine synthesis, so this can preserve SAMe levels in the body. It appears that creatine has a similar effect of TMG (used in the body to create SAMe) supplementation. There was a report published in France that suggested creatine may be a carcinogen. But after closer analysis, it was found that the creatine had been exposed to extreme temperature. And this was causing the carcinogenic properties of the creatine. Recent research has also been published stating that creatine - at both low and high doses, taken on a short term or long term basis - does not stimulate cancer-causing mutagens (23). There was one case where some young wrestlers using creatine died. Creatine got blamed for the death, but it was discovered that the athletes were extremely dehydrated and had gone to extreme lengths to drop weight for an upcoming fight. You may have read how creatine increases DHT. This belief was the result of a study done on South African rugby players. However, the researchers at Suppversity have questioned this study's findings. Despite being statistically relevant the absolute changes in the DHT levels van der Merwe et al. observed in the study at hand were neither physiologically relevant (DHT remained well within the reference range), nor totally inexplicable. Being afraid of hair loss, let alone prostate cancer, in response to the consumption of (untainted) creatine supplements is thus totally unwarranted. In fact, it is well known in the scientific community that any form of acute exercise will raise DHT levels (25, 26). The Van der Merwe study was also criticised by Greene (27), who raised some important considerations, such as the fact that the brand of creatine wasn’t mentioned in the study, it wasn’t tested for purity, it could have been contaminated, etc. Other than the Van der Merwe South African study, there are no reported cases of creatine supplementation causing DHT issues in the literature. See 'Does creatine increase DHT levels' for a full explanation. Creatine may cause bloating in some individuals but it is easily avoided. Creatine is a product of 3 amino acids. Amino acids in concentrated form will draw water into the intestine. This can also happen when you ingest creatine. As a result, this can cause some bloating and GI distress in some individuals sensitive to this mechanism. Also, dehydration status can contribute to creatine causing stomach pains and cramping. Likewise if one supplements with too much creatine in one dose (especially on an empty stomach) and or with too much water. This can lead to diarrhoea and nausea. There is also the issue of poor quality creatine that may be contaminated with toxic byproducts of the creatine manufacturing process (more on this below). This can also cause issues upon ingestion. Make sure you are not in a dehydrated state when ingesting creatine. For example, don't take it after a long sauna session or after a lot of sweating. Use micronised creatine. It consists of smaller granules that are easily absorbed more and draw less fluid in. Use Creatine HCL. This doesn't have the absorption issues that some people suffer from when using creatine monohydrate. Though it is more expensive and doesn't have any performance benefits over monohydrate. Have it with warm water or tea. This helps with solubility. Spread the dosage throughout the day. For example, if you take 5g a day, take 2.5g in the morning and 2.5g at night. Yes if you follow a loading phase. But with proper dosing excess water retention can be avoided. As covered in my article 19 Reasons Why You Need To Supplement With Creatine, creatine does increase cellular water retention and hydration levels in the body (31-33). However, it is important to note that most studies showing increased water retention have the study participants follow a loading phase (15-25g of creatine a day for 5-7 days). For example, a study presented at the NCSA conference looked at creatine loading and water retention in 50 test subjects. The subjects were split into two groups, one group consumed 5grams of creatine 4 times a day for 5 days (20g a day for 5 days) while the other ingested a dextrose placebo. Both groups were tested for body composition, hydration states (intra and extracellular) before and after the 6-day study. Researchers found that both groups increased body mass, with the placebo group interestingly having higher levels of extracellular water retention. The authors concluded that the more hydrated you are when starting a creatine load phase, the more water you will retain during the load. Thus the recommendation of 'drinking lots of water' while on a loading protocol may not be wise (though it is important to still drink plenty of fluids when ingesting creatine, just don't force fluids down if you aren't thirsty). Lower doses of creatine (i.e. the standard 1-5g a day maintenance dose) do not invoke the same significant water retention rates as those who follow the mega-dosing loading approach. Avoiding the mega-dosing loading phase is the best way to avoid excess water retention when starting out with creatine. In fact, there is a lot of literature that indicates the loading phase is not necessary to reach total creatine saturation levels. I cover this in the loading question below. Inferior brands of creatine can cause cramping, along with taking creatine in a dehydrated state. I touch on the problems associated with creatine supplementation in a dehydrated state in the bloating and stomach pain question earlier. In a nutshell, creatine draws fluid into the intestines. If the muscles are already dehydrated, this further loss of fluid can cause cramping. However, it is widely recognised that many cheap and inferior brands of creatine can cause cramping. When creatine is made in factories, there are numerous byproducts produced. Some of these byproducts are toxic for human consumption. Yet some factories do not adequately filter out these byproducts and they end up in the end product. These byproducts can cause bloating, cramping, headaches and nausea. If you do suffer from these issues when you supplement with creatine, I recommend avoiding that brand and trying a new, well-respected, brand. I cover the best brands and types of creatine below. Creatine Monohydrate is the cleanest form of creatine. Bulk Supplements Creatine Monohydrate is my recommendation. Some creatine manufacturers do not adequately filter out the byproducts that result in the creatine manufacturing process. These byproducts can cause all sorts of health issues when ingested. A paper published in Food Chemistry titled 'Levels of creatine, organic contaminants and heavy metals in creatine dietary supplements' looked at the dangerous contaminants found in creatine supplements (34). The researchers tested 33 common creatine supplements, including the popular creatine monohydrate form as well as other forms of creatine. As you can see, many of the samples contained creatinine - the metabolite of creatine (i.e. it's useless and the body excretes it). 50% of the products exceeded the regulated contaminant levels. 5 of the samples contained dihydro-1,3,5-triazine concentrations above detection level. The creatine monohydrate productions had the lowest contamination levels. Kre-Alkalyn products had the highest levels of dicyandiamide (83% of the Kre-Alkalyn samples were above the recommended safe limits). Thankfully, heavy metal contamination was low in all samples. So what brands are the best? Unfortunatley, the research paper above did not disclose the brand names of their testing (other than Kre-Alkalyn, as that is a patented product). But one thing was clear, the creatine monohydrate products had the lowest levels of contaminants, with the highest level of pure creatine (that had not broken down into creatinine). Other studies (55,56) have shown that creatine manufactured in the USA and Germany tend to be cleaner than Chinese made creatine. This should help in determining what product to buy, but it doesn't draw a conclusion on what brands are the cleanest. So I had to look elsewhere to find the cleanest creatine supplement brands. For this, I went to Labdoor. Labdoor is an independent laboratory who test the quality of various supplements on the market. They test creatine for purity, heavy metal content, creatinine level, added ingredients and their safety and product efficiency. Unfortunately, they did not test for the same toxins listed in the study above. Though they did test for heavy metal content, we know that this doesn't seem to be a big issue for creatine supplements. With arsenic, cadmium and lead all being undetected in the study above. Only mercury was detected in the report. Other common brands in the top ten included PrimaForce Creatine Monohydrate (91.9) and Now Sports Creatine Monohydrate (91.7). I personally use the Now Sports brand, but after seeing this report I may switch to the slightly better product from BulkSupplements. Despite some anecdotal reports on the internet, there are no studies linking creatine use to acne. One possible way creatine could cause acne is with the sugar added to some creatine supplements. It was originally believed that creatine required a huge insulin spike for optimal uptake into the muscle. This belief has since been debunked (more on this below). However, some creatine supplements contained up to 35g of sugar per serve of creatine. These insulin spikes can contribute to acne outbreaks. If you are prone to acne or worried about acne breakouts, ensure you use a quality pure creatine supplement without any additives or sugars. Excess creatine combined with excess water intake can lead to frequent peeing. If you do find you need to pee a lot when using creatine, it's probably a result of taking too much creatine too fast. For example, the body makes around 1g of creatine a day, if you start ingesting 10 or 20x this, the body may not be able to handle this much creatine all at once, so it will simply excrete it through urine. Also, if you are downing your creatine in a lot of water, this is going to add to your urinate needs. Creatine helps the body generate more energy and also increase strength. 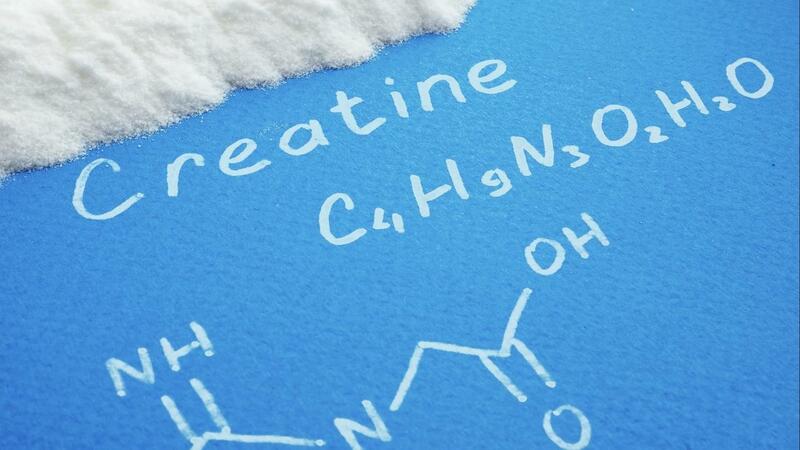 Creatine increases power output, strength, training recovery, heat stress, anaerobic capacity and more. In as little as 3 days, maybe sooner. There have been numerous studies on the short-term effects of creatine supplementation. All these studies found performance increased in 3-7 days when subjects began using creatine (it needs to be mentioned that most of these subjects were using the loading protocols of creatine - i.e. 15-30g of creatine a day). Increased bench press and jump squat after 7 days of 25g creatine supplementation (35). Increased in peak cycling power and leg contraction after 4 days of creatine supplementation (20g/day) (36). So it stands to reason, if you have an event coming up in a few days and you need a performance boost, you can still benefit from creatine supplementation. Just note that high levels (15g+ a day) of creatine may cause some water retention. So if you need to stay under a certain weight or have a full range of motion in your joints, loading creatine may not be a wise strategy. There are numerous performance benefits from taking creatine. And if an athlete is keen to increase strength, recover faster, improve hydration levels and increase power output, then yes, one should take creatine. The main concern endurance athletes have around creatine is with increased weight (decreasing power to weight ratio). However, there are a few things to keep in mind here. 1. Creatine can increase water retention which in turn increases weight. But as mentioned above in the water retention section, this can be avoided if one skips the loading protocol and goes straight onto the maintenance protocol (more on this below). 2. A stronger, more powerful endurance athlete is going to be faster than a weaker athlete (if fitness and technique are equal). 3. Though your sport may be predominantly aerobic based, there are times when you utilise the creatine-phosphate energy system. For example, sprint finishes, hills, starts etc. Why not have more creatine on board to help with these efforts? Also, creatine has been shown to increase anaerobic capacity (important for endurance athletes) and VO2 max. A lot of creatine studies have been done on trained or even elite level athletes. The results are generally positive from a performance point of view (39-42). Though the performance increases may not be as pronounced as novice athletes. Yes. Though generally, this is because of a diet rich in creatine or the bodies ability to re-use or produce higher than average levels of creatine. The body makes it's own creatine (around 1g a day) and the average individual eats around 1 gram of day in their diet. Benefits of creatine supplementation start with dosages as low as 1 or 2 grams a day. If an individual is eating a diet naturally high in creatine (lots of beef and herring etc) then their creatine stores may already be quite high. Likewise, if the individual is not using these creatine stores often (i.e. a sedentary office worker who only trains once a week vs a labourer who is lifting heavy objects every day). The creatine supplement is merely a 'top-up' to what the body is creating and consuming through diet. If you look at the studies on vegans and vegetarians or supplement with creatine, you will see that their performance increases more than a non-vegetarian when they start using creatine (43). So if one is supplementing with creatine and doesn't notice any performance benefits, then perhaps they have a diet that is naturally high in creatine. However, this may not be the only reason as to why some people don't respond to creatine. Poor absorption of the creatine supplement. Knowing how inexpensive creatine is, and knowing all the health and performance benefits that come from creatine supplementation, while also knowing that there are no health consequences to taking creatine, why would you not take it? The overall benefits of creatine apply to both men and woman. But there are some gender-specific differences. Despite there being a lot of creatine studies on men, there are solid studies looking at creatine's affect on woman. The ergogenic benefits of creatine apply both to men and woman (i.e. strength gains, power gains etc), yet a review of the literature does point to some differences between genders. Gains in body mass and free fat mass (i.e. lean gains) are not as rapid and not as great in women as they are in men. Women lose less creatinine (creatines metabolite) on a daily basis than men (for men and woman not supplementing with creatine) (44). Though this could be explained due to woman have less muscle mass. Woman have a fraction of the testosterone about of men. Thus the concerns around creatine boosting testosterone (either directly or indirectly through increased training loads) is unwarranted. Studies show that women have less creatine phosphate stored in their brain compared to men. Again, one theory is that creatine may be more effective at helping to forestall depression in women than it is in men. Rat studies show that providing creatine to female rats alleviated signs of depression, but didn't do so when provided to male rats. This related to the presence of estrogen in the females at higher levels than males. A recent study of human females who were depressed from prior dependence on methamphetamines, showed that providing creatine for two months lowered their depressed state. Emerging evidence shows that creatine supplementation may also aid in the treatment of depression related to premenstrual tension syndrome. Studies of older women show that creatine may help to prevent various bone diseases, such as osteoporosis. It does this by providing the energy needed to power the cells that build bone mass, or osteoblasts. In studies of men and women suffering from Sarcopenia, an age-related loss of muscle mass, providing a combination of weight-training exercise and creatine supplements proved effective in blunting the loss of muscle mass. So it's clear that creatine not only is great for women who exercise or participate in sports, but it also offers unique health benefits to any women. Women concerned about bloating or water retention should avoid using a creatine load technique of ingesting larger doses of creatine over a few days time. Instead, it would be more prudent for them to ingest smaller doses of creatine once a day. Creatine appears to be beneficial for pregnant mothers in mouse studies. Creatine supplementation in pregnant mice increased creatine levels in the placenta, fetal brain, heart, liver and kidney. Also, the heightened creatine stores increased the capacity of offspring to survive birth hypoxia (45). The same study showed that maternal creatine improved postnatal growth after birth hypoxia. Though it needs to be remembered that this was a mouse study. There aren't any human studies looking at pregnancy and creatine supplementation. One interesting aspect of female physiology is that when women are pregnant, certain hormones, such as IGF-1 and thyroid hormones are increased. These hormones also boost the activity of the creatine transport protein that carries creatine into muscle. The creatine is thought to be used by fetal cells in the production of myoblast cells, which eventually become muscle tissue. Creatine is delivered to the fetus directly through the placenta. Since the placenta is the primary organ providing nutrition to the developing fetus, it uses a lot of energy and ATP. You can see why creatine is rapidly absorbed by the placenta! Conversely, a lack of sufficient creatine intake, such as in a mother who does not consume foods rich in creatine such as red meat, may adversely affect the growth of the fetus. It isn't known if the fetus itself can synthesize creatine, but the odds are that it cannot and must depend on the maternal supply and delivery through the placenta. Studies published as early as 1913 showed that the body weight of newborns is directly proportional to the urinary excretion of creatine (as creatinine) by the mother. 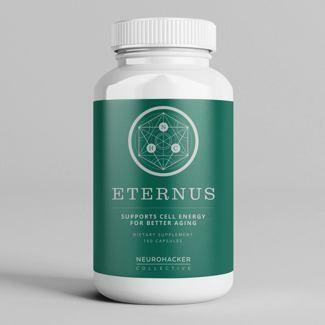 Other studies involving animals show that creatine is easily absorbed into developing neurons in the brain, and by maintaining vital energy processes, creatine may be able to prevent brain diseases characterized by lower energy levels in the brain. While this has not yet shown to be true in humans, if it does happen, it could provide significant protection against various types of brain disorders, which can easily change the course of a person's life. Some scientists who study creatine think that creatine may have the ability to prevent brain diseases caused by a lack of oxygen at critical points, such as occurs with cerebral palsy. Creatine can also help to maintain vital mitochondrial activity in the brain, where energy is actually produced. There is little research in this field. But creatine has been successfully used in children with a genetic disorder without any health issues. There are no published studies showing that creatine is dangerous for children or teenagers. On the contrary, there are studies showing creatine has ergogenic benefits in youth (46). Creatine has been used for decades in children. In fact, one of the first medical uses of creatine was for children with a genetic condition that meant they couldn't synthesise creatine in the body. This was a dosage of 4-8grams a day for numerous years, and no ill consequences resulted. The study listed above tested creatine supplementation in elite 16-17 year old soccer players. There were no negative health outcomes, only increased performance. Yes. And It's recommended that vegetarians supplement with creatine for the significant ergogenic benefits. There is no data showing whether creatine is unsafe for non-meat eaters. It is safe to assume that the studies on regular omnivores would apply to non-meat eaters. Studies have shown that non-meat eaters have lower creatine stores in their muscle. (47). And these same groups have an increased capacity to load creatine into the muscle following supplementation. Vegetarians who supplement with creatine also show significant performance benefits including more stored creatine, increased strength, increased muscle fiber area and increased lean body mass (48). Creatine can boost lean body mass (fat-free mass). Creatine helps increase weight without increasing fat mass (49). A study posted in the Journal of Strength and Conditioning Research looked at the effects of creatine supplementation on fat-free mass (FFM). The researchers used FIVE measurement devices to test for FFM change (which is unheard of as researchers usually go with one measuring tool, or two at most). Following creatine supplementation there was a significant increase in body mass. In addition, all 5 body composition techniques detected the change in FFM to a similar degree. In addition, all 5 methods provided similar measures of FFM change during acute Cr supplementation. Another study was also published in the Journal of Strength and Conditioning Research and found that 4 weeks of creatine supplementation increased total body weight (an average increase from 90.4 kg to 92.1 kg), increased total water content and had no change in body fat levels (50). What can we derive from these studies? Creatine won't make you fat, it will increase cell hydration levels and it will help you increase body weight. However, a lot of the weight gain is a result of the increased water retention (covered earlier) which can be minimised by avoiding the loading protocol and going straight into the maintenance protocol (1-5g a day). Also, the second reason for increased weight gain is due to increased training performance - leading to more muscle mass. Simply taking the maintenance dose of creatine without any training (training with the intention to put on muscle mass) is not going to drastically increase weight. For example, studies done in elderly found that creatine supplementation slowed muscle wasting, but it did not magically increase muscle mass. There are various studies showing that creatine supplementation is beneficial for the elderly. Creatine supplementation protects against muscle wastage in elderly men and woman. Creatine supplementation has been well documented to boost muscle levels in elderly (52,53), but it was the work of Moon et al, in the paper 'Creatine Supplementation in the Elderly: is Resistance Training Really Needed?' who found that creatine without resistance training slowed muscle wastage in elderly (54). Also, creatine has been shown to boost cognitive performance in elderly. A randomised clinical trial that was published in 2007 looked at the effect of creatine supplementation on cognitive function in elderly (80+ years old) individuals. The researchers tested on random number generation, forward and backward number and spatial recall, and long-term memory tasks. If you want the health and performance benefits then yes. If you are wanting the health and ergogenic benefits listed above and outlined in the article 19 Reasons Why You Need To Supplement With Creatine then yes. The exception being, if you consume a lot of creatine-rich foods in your diet and don't seek out the added benefits that creatine supplementation 'top-ups' produce. Remember, the body creates around 1 gram of creatine a day and most people who eat meat in their diet will ingest another gram a day. But supplementation of 2-20g a day will boost creatine stores in the muscle and brain. This is the most common question when it comes to creatine. What type of creatine should I use? There are many different forms of creatine on the market. As creatine is such a widely researched and effective supplement, and there are many companies that are manufacturing creatine monohydrate (not to mention it's low cost) supplement manufacturers continue to look at ways to differentiate themselves and come out with 'new and improved' versions of creatine. Below I have reviewed 13 of these common 'advanced creatine products'. I have looked at the efficacy of each product, the safety and absorption rates. Creatine Monohydrate is the best form of creatine to take. It has been around the longest, most of the studies done on creatine use creatine monohydrate (and there are hundreds of published studies!) It is inexpensive. It works just as good (and better in some cases) as the more expensive, lesser researched alternatives. It is safe, well tolerated by most and is available in pure form (you can purchase a product like Bulk Supplements pure creatine monohydrate - without any fillers or additives). Finally, as you will see below, there are no other creatine forms with significant evidence to prove that they are superior to creatine monohydrate. Stick to what is safe, what is well researched, what has been used for decades, what is inexpensive, what is widely available, what is available in its pure form and what is known to work. Stick to Creatine Monohydrate. And if you want the best of the best, go with a micronised form of creatine monohydrate, which is simple creatine monohydrate that has been standardised as a finer powder, making it more soluble in water. The Bulk Supplements creatine monohydrate is a micronised form. Research done using 5g of creatine citrate 4times a day for 5 days (20g a day for 5 days) had no influence on cycle fatigue tests (57). A 2017 review on various forms of creatine concluded that creatine citrate had 'no safety concern regarding citrate intake' and that 'the bioavailability of creatine as creatine citrate seems to be similar to creatine monohydrate' (59). Though it may be more soluble than creatine monohydrate (meaning it mixes better in water). In a nutshell, Creatine citrate is no better than creatine monohydrate from a performance view (and may be worse) but it's more expensive. Polyethylene glycosylated creatine (PEG) was used for 28 days in a randomised, double-blind, placebo-controlled trial. Subjects in the PEG group used 5 grams a day for 28 days. Researchers tested 1 rep man bench press and leg extension. And mean powder and peak power in the wingate anaerobic test before and after the trial. They found that the group who supplemented with PEG only had a significant increase over the control group (non- creatine) in the 1 rep Bench press, and there was no significant difference between the PEG group and the non-creatine group in all the other performance tests (58). Creatine phosphate (CP) may cause gastrointestinal issues, as supplementation of more than 750mg of phosphorus a day has been linked to GI symptoms. A single serve of creatine phosphate contains 1.8g of phosphate or 0.7g of phosphorus (59) (creatine phosphate supplements contain either a mix or one of these forms). One study was done comparing CP vs Creatine monohydrate. The groups had a short loading phase followed by 6 weeks taking 10g a day. Lean mass and body weight increased in both groups (60). Otherwise, data is lacking on its effectiveness. But given the issues around GI distress and the extra cost of creatine phosphate it is advised to stick to creatine monohydrate. A 5g serve of creatine pyruvate contains 3g creatine and 2g pyruvate. Studies have found that creatine pyruvate increases creatine levels in the blood, but this hasn't translated into increased performance (59). There are no significant health concerns with taking this form of creatine. A 4g serve of creatine malate contains 3g creatine and 1g malate. There are only two human studies done on creatine malate. One showed that it will have improved absorption, the other showed an elevation in growth hormone in male sprinters (but not long distance runners) who used the supplement for 6 weeks (59). Kre-Alkalyn is a buffered form of creatine. When it reaches the stomach it is turned into the basic creatine molecule. Assuming the dose is the same (as creatine monohydrate) there are no major differences between the two forms. 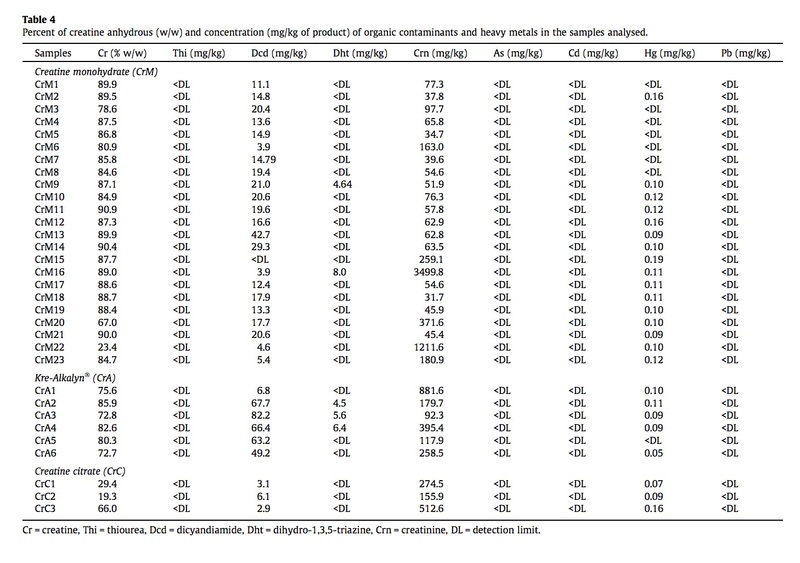 Though it needs to be noted that in the review of creatine contaminants, Kre-Alkalyn had by far the highest levels of toxic byproducts and the highest levels of the creatine metabolite creatinine (34). For these reasons, and given the higher cost associated with this form of creatine, it is best avoided. Research has shown that Creatine Ethyl Ester (CEE) is ineffective. Once CEE hit stomach acid it was converted into the creatine waste product creatinine (61). Meaning CEE never reaches the muscle tissue. It has been shown that Creatine Ethyl Ester does increase creatinine levels in the blood, but again, this is no doubt due to the conversion in the gut. It was hoped that CEE would increase creatine uptake in the brain, but this was found out to be false, and in fact, it was worse than creatine monohydrate (59). One study compared creatine monohydrate with CEE in young men over 42 days. And the end of the trial, the group taking monohydrate had higher blood levels of creatine, and the group taking CEE had higher levels of creatinine (twice the levels in the monohydrate group). This study did find that CEE increased muscle levels of creatine, but not near as much as the monohydrate group (62). 5.9g of creatine taurinate result in 3g of creatine and 2.9g of taurinate. Taurine is formed in the body from cysteine and methionine. There are no human studies looking at creatine taurinate. If you are looking to supplement with taurine and creatine, take them separately and stick with a creatine monohydrate product. 4.2 grams of creatine orotate result in 3g of creatine and 1.2g of orotate. There are 'Significant safety concerns due to tumor-promoting effects of orotic acid (59). There are no human studies on creatine orotate. 6grams of creatine pryoglutamate result in 3grams of creatine and 3grams of pyroglutatmate. No safety concern regarding the intake of pyroglutamic acid, but unclear role in neurological diseases (59). There are no studies on this form of creatine. Avoid the risk and save your money. 7.5g of creatine gluconate result in 3grams of creatine and 4.5g of gluconate. This form of creatine has a glucose molecule bound to the creatine molecule. It is believed that this will help absorption. But there are no studies done on creatine gluconate to prove whether this is true or not. There are studies showing that creatine monohydrate ingested with high amounts of glucose (100g) lead to increased creatine in the muscle (63), but others have GI issues when consuming this amount of carbs with creatine. Also, these levels of glucose require consuming 165g of creatine gluconate (which results in 100g of glucose and 66g of creatine). Stick to creatine monohydrate, and if you want to experiment with higher carb levels use pure glucose or food sources. The main issue with magnesium creatine chelate is around GI issues given the added magnesium supplementation. Magnesium supplementation can cause laxative effects in humans. There are two human studies looking at magnesium creatine chelate. One compared magnesium creatine chelate with monohydrate in young resistance training men. They took 2.5g for 10 days. There were no differences in exercise performance between the groups. (64). The other study compared one group taking creatine and magnesium oxide, the other group magnesium creatine chelate. This was a 2-week trial. This may suggest that creatine magnesium chelate may help prevent water retention over conventional forms of creatine. But it doesn't seem to impact performance and can lead to gut issues. Creatine Hydrochloride (HCL) forms free creatine when it reaches the stomach (as does creatine monohydrate). Creatine HCL may be more water soluble than monohydrate. It's reported that creatine HCL has a superior absorption rate compared to monohydrate, and this may be true, but it's important to note that enhanced absorption doesn't mean greater muscle uptake or performance benefit. It may be a suitable alternative to monohydrate if you suffer from gut issues with using creatine monohydrate, but note that it turns into the same free creatine in the gut as does monohydrate. So if gut issues are not a problem, stick with monohydrate. Creatine nitrate has been shown to mix better than creatine monohydrate. Meaning it dissolves in water better. There are no studies looking at performance or uptake for creatine nitrate. If creatine monohydrate is not palatable then creatine nitrate could be a good alternative, though more research needs to be done on its efficacy compared to creatine monohydrate. Micronized creatine is simply creatine monohydrate in a finer form. It mixes better in water compared to regular non-micronised creatine monohydrate. Otherwise, it is the same as creatine monohydrate. At the time of writing (June 2017) creatine monohydrate still is the best form of creatine to take. The only reason one may look at alternatives is around solubility issues and fewer gut issues. From a performance point of view, there is no product that has significant evidence showing that is it superior to creatine monohydrate. There still is not a single study which shows that creatine-whatever would produce statistically significant greater strength or muscle gains than the tried and proven, good old (and I know boring) creatine monohydrate. Pharmaceutical grade creatine in powder form is the best. Creatine is commonly sold in powder form. But it is possible to purchase creatine in tablet form, liquid form and even as candy and gums. When we look at liquid forms of creatine, research shows that creatine sold in a liquid solution is ineffective. It had no effect on creatine stores in the muscle (66). When creatine is mixed into a solution starts degrading. This isn't an issue for those who mix their creatine powder into their water bottle as it takes a few weeks for the creatine to degrade, but obviously, creatine in a 'ready to drink' concoction that was manufactured weeks, months or even years prior to consumption is an ineffective way of benefiting from creatine. As for tablets and capsules vs powders, there are no significant differences between these forms. Effectively the capsules are just transport mechanisms for the powder. However, it needs to be noted that capsules and tablets use other binding agents, fillers and additives, meaning the end product is not the same pure creatine product you will find in a pharmaceutical grade creatine powder like Bulk Supplements creatine monohydrate. Also, as was discovered in independent testing of various supplement products, capsules and tablets had a less active form of creatine and higher rates of contaminants. What about candy's, gums and effervescent forms? Firstly, effervescent powder forms of creatine in one study had lower levels of free creatine and higher levels of heavy metals (67). As for creatine in gum and candy forms, these have no ergogenic benefit over powdered forms of creatine (68). The only benefit to these forms of creatine supplementation is convenience and palatability. However, there is the issue around contaminants and price. It depends on the individual and their goal. But a good guide is 0.03g per kg of body weight per day (2-3g a day for a typical male, 1.5g - 2g a day for a female). One study saw individuals using 2.5g of creatine a day increase their 1 rep bench max more than the non-creatine group in only 10 days of supplementation. Though many believe the need to 'load' creatine (with a mega-dosing loading phase when you first start using creatine), studies have shown that a lot of the creatine used in a loading phased is excreted. Also if one takes 5g of creatine a day for 30 days, they will have the same stored creatine levels as someone taking 20g a day for 30 days (71). A follow-up study found that 3grams a day of creatine for 28 days are enough to reach saturation levels in the muscle. The researchers then found these saturation levels could be maintained with 2g of creatine a day (72). However, there may be some benefit to using high dosages in a loading phase if you are looking to reach saturation level of stored creatine as rapidly as possible (more on this below), but for most people, a dose of 2-5g on an ongoing daily basis is more than enough to for creatine's performance benefits. For those seeking the cognitive and neural benefits from creatine supplementation, you may want to up your dosage. It is thought that higher amounts (10-20g a day) are needed for creatine to effectively cross the blood-brain barrier to boost stores in the brain. No. It is not necessary and it can lead to weight gain. However if one has a big competition in a few days time there may be benefit to loading. It was believed that when using creatine for the first time you had to do a loading phase (0.3g per kg a day. 10-30g a day) for 5-7 days days. The idea here was to rapidly saturate stored creatine levels in the muscle. After this loading phase you could then drop back to a maintenance load of creatine (0.03g per kg per day). A lot of studies on the benefits of creatine used this loading phase at the beginning of their trial. But as discussed above, new research is showing that this loading phase is not necessary. It has been shown that a lot of the creatine ingested during the loading phase is converted into creatinine and excreted. Also, those who ingest high amounts of creatine as per the loading protocol recommendations, tend to have rapid weight gain due to increased water retention. This can be avoided by skipping the loading protocol. Saturation levels of creatine in the muscle can be achieved with dosages as low as 3g a day (for men) for 4 weeks (72). Also if one takes 5g of creatine a day for 30 days, they will have the same stored creatine levels as someone taking 20g a day for 30 days (71). However, if one is looking to benefit from creatine as rapidly as possible, then the loading protocol is a good idea. As those who load (20g per day, split over 4 servings) have increased performance markers compared to those who don't load load when tested after a few days of starting creatine supplementation (73). In a nutshell, if you are not taking creatine and you have a big competition, test, or event in a weeks time or less, then yes, it may be beneficial to go on a creatine loading protocols. However, be wary of the risk of side effects (listed above) with the main downside being increased weight gain (which may be an issue for weight restricted athletes). For everyone else, save your money and skip the loading phase. It takes around 4-6 weeks for elevated creatine stores to return to baseline. (74). There is no evidence showing that cycling creatine on and off is more or less effective than not cycling creatine. Though if one is concerned about kidney health when using creatine (though there is no evidence to justify this fear, see above), you could halt creatine supplementation for 2-4 weeks and still have elevated levels of stored creatine in the muscle. There could also be financial incentives to having a break from creatine supplementation. As for the body losing it's 'sensitivity' to creatine and thus justifying the on-off cycling, there is no evidence to suggest that the body builds up a 'tolerance' to creatine supplementation. There may be some minor benefit to taking it around training. Otherwise, take it with food. Athletes often wonder whether to supplement with creatine pre-training or post training. There is a school of thought that says you should supplement with creatine prior to training so that it's readily available' for the workout. And on the contrary other's say you should use it post workout as you have depleted some of the stores during training. The literature seems to favour post workout supplementation for optimal results. It needs to be remembered that once creatine stores are saturated (i.e, after a 5 day loading phase or after 30 days of 3g a day), that it takes 4-6 weeks for stored creatine levels to return to baseline. So unless you are just beginning a creatine supplementation protocol, you should not see any immediate benefit to using creatine pre workout assuming your stores are already elevated. Hence the logic behind the post workout supplementation. One study looked at this exact question - it was titled 'The effects of pre versus post workout supplementation of creatine monohydrate on body composition and strength'. There were two groups, a pre-workout group and a post workout group. Both groups supplemented with 5g of creatine. The researchers tested fat-free mass and strength and found that the post workout group had some minor benefit over the pre-workout supplemental group (75). However, a similar study done in older adults saw no difference between pre and post workout creatine timing (76). Finally, a 2006 study looked at creatine supplement pre and post training compared to morning and evening supplementation (I.e. one group had creatine immediately before and after training, the other had creatine in the morning and night). The Pre/Post group had a greater increase in lean body mass and greater strength gains compared to the morning/evening group (77). So there are benefits to taking creatine around training time, but unfortunately, the study didn't look at the differences between the pre and post timing. The reasoning behind creatines improved effectiveness when used around training is because creatine uptake is enhanced by insulin, and consuming a whey protein and or carbohydrates creates a strong insulin spike. Generally, these are consumed post workout. Likewise, intense exercise increases anabolic hormone release, combined with the ingest amino acids and carbs, glycogen re-synthesis and protein synthesis is promoted. Supplementing with creatine at this time (post intense workout with the carb/amino acids) may have some added benefit compared to supplementing it at other times of the day. For those not training, on non-training days, any time of the day is fine. Ideally, take it with food. See 'When Should I Take Creatine?' for more on this. No. Unless you are just starting creatine supplementation and have a big event. If you are looking to maximise the health and performance benefits, every day may be beneficial. Otherwise every now and then at a higher dosage is fine. If you cannot consistently take creatine every day, but you still want the benefits of creatine, it would be wise to go on a short-term loading protocol (4 servings of 5g a day for 4-5 days) to rapidly reach muscle saturation. Then as an ongoing strategy, on days you can take creatine, take it. But on days you cannot don't fear that you are missing out. As it takes 4-6 weeks to deplete the elevated level of creatine and return to baseline (this time period will depend on genetic factors, activity level and diet). Knowing this, you could 'top up' your creatine stores every few days to keep them at an elevated saturated level. But if you are out of creatine or plan on going travelling for 2 weeks and you don't have access to creatine then you will be ok. If you suffer from GI issues and or are in a loading phase. If you have GI issues with creatine supplementation, it may be wise to break the dosage up into small servings and consume them at various times throughout the day. Likewise, if you are following the loading protocol, it would be recommend to split the 20-30g daily loading serving into 4-5 serves throughout the day to enhance absorption. Otherwise, there is no known benefit to splitting the dose up through the day. Your muscle stores will eventually return to baseline. Once saturated, it will take 4-6 weeks for the muscles creatine stores to return to baseline after cessation of creatine supplementation. After which is it is fair to assume that most of the benefits of creatine supplementation will be lost. However, there is one study on elderly men that found 12 weeks after stopping creatine supplementation had no impact on their strength (78). For optimal results, take creatine with a something that will boost insulin levels (i.e. carbs or a quality protein source like whey powder). There is evidence that creatine combined with particular substances can increase uptake and create a synergistic effect leading to heightened performance gains. I have covered each of these substances below in their own section. As there is too much research to cover in one section. The limiting factor behind creatine uptake into the muscle is by the creatine transport protein. Traditionally it was believed that insulin was the only way to stimulate this protein, hence the early recommendations to ingest a lot of carbohydrates with your creatine supplementation (the carbs would spike insulin). But it is now known that there are many factors that stimulate the creatine transport protein. Yes, insulin is one, but so is the sodium-potassium pump. Meaning salt is also needed for creatine uptake. This doesn't mean you should use salt with your creatine as we already have plenty of sodium in our diet CTP mechanism to function. What does this mean in practical terms? Insulin is beneficial for increasing creatine uptake, but it's not the be all and end all of creatine uptake. And it is well established that a quality whey protein powder can stimulate insulin, meaning those who are carb-phobic can add creatine to their whey powder to receive an insulin spike and improved creatine uptake. Carbs taken with creatine will increase creatine uptake, but this doesn't translate into performance gains. As outlined above, insulin does help with creatine update. Thus a serving of carbohydrates with creatine will help with creatine uptake. But this increase in insulin can also be stimulated through the ingestion of amino acids or whey protein. So though carbs increase creatine uptake, protein will also create the same result (79). Creatine plus carbs have also been shown to increase glycogen synthesis and increase glycogen uptake in the muscle (80, 81). This is beneficial for athletes looking for rapid refuelling and recovery as well as pre-event fuelling. Finally, a study done on swimmers found that having carbs with creatine may increase uptake, but it doesn't have any beneficial impact on performance (82). If you have endurance goals then there may be some benefit to supplementing with beta-alanine, but it doesn't appear that combining it with creatine has any synergistic effects. A study looking at the effects of creatine vs creatine and beta-alanine over 10 weeks in football players found that the creatine plus beta-alanine group had higher levels of body mass and fat levels. But there wasn't any significant difference between the two groups when it came to strength (83). Another study looked at the effect of creatine and beta-alaine on a cycle ergometry test. The researchers were looking to see if the supplements increased the time to failure. They found that the groups that ingested beta-alanine had delayed neuromuscular fatigue. But it's important to note that is was true for the groups taking creatine (and beta-alanine) or just taking beta-alanine on its own. There was no synergistic benefit in this study to consuming both creatine and beta-alanine (84). Though a similar study was done it looked at endurance performance. This study reported increased endurance performance in the creatine plus beta-alanine group (85). Maybe. ALA can help increase creatine uptake. Creatine combined with Alpha-lipoic acid (ALA) has been shown to increase creatine uptake in the muscle (especially with the addition of carbohydrates) compared to creatine or creatine and carb blends (86). Another study looked at replacing 50g of glucose with 1g of ALA in a creatine/glucose/glycerol blend. The researchers then these for cardiovascular performance and heat tolerance and found no difference between the high carb group and the lower carb plus ALA group (87). There is one study investigating whether betaine and creatine boost performance over creatine alone. Baking soda has it's own health and ergogenic properties like creatine. Adding Baking soda to your creatine will have an additive effect in regards to boosting performance. Creatine plus baking soda (20g creatine, 0.5g per kg of sodium bicarbonate) have been shown to increase peak power output and average power out in trained males. The performance increase was superior to the creatine only group (89). What is interesting was that the baking soda wasn't consumed prior the trial (as is usually the case and can lead to GI issue suggesting that one could include baking soda in their diet on a daily basis for performance benefits. The limitation of this study was that sodium bicarbonate was not tested alone, so it's unknown whether the two ingredients had a synergistic effect or if it was just the baking soda that caused the performance increase. ...no meaningful additive effect of creatine and sodium bicarbonate co-ingestion on mechanical power during repeated sprints (90). There is one study that looked at creatine supplementation with and without D-pinitol. D-pinitol may help with creatine uptake, but it doesn't have any performance benefits over creatine alone. Hard to say at this stage. There are some studies showing that combining caffeine with creatine may dampen the performance effects of creatine. Caffeine combined with creatine doesn't seem to impair (or boost) stored creatine levels, but in this 1985 study it was found that a large serving of caffeine (the equivalent of 4-5 cups of coffee) completely eliminated all the performance gains from the stored creatine in a maximum contraction test (92). But when the same caffeine dosage was used to test interval sprint efforts, the researchers found that the creatine plus caffeine group outperformed the creatine only group (93). And this finding was later supported by a paper published in the Journal of Applied Physiology (94). Unfortunately, there is little research done in caffeine and creatine. And the 1985 strength study was done using very high levels of caffeine and using isometric contraction tests, so it would be nice to see a more practical study done (lower coffee, and leg extension tests or bench press for instance). It is also worth mentioning that many creatine studies are done using creatine mixed into hot tea. The tea contains a small amount of caffeine, and yet the results are always supportive of creatines performance boosting effects. Also, the fear around acidic solutions breaking down creatine rendering the supplement useless before ingestion is unjust. Even orange juice (with a pH of 2.8) is not as acidic as stomach acid (1.5) and we know that creatine is not destroyed when it hits the gut. This is a personal choice. It depends on your reasoning for losing fat (for instance are you cutting for a bodybuilding show or just looking to lose a few pounds?). It depends on whether you have a performance goal. It depends if you want to benefit from creatine supplementation use. Look back at what we know about creatine. It helps with strength and it increases lean body mass (i.e. muscle mass) without increasing fat mass. It may increase water retention in the body, but with lower dosing, this seems to be eliminated. There are no studies linking creatine to fat gain or fat loss. So if you are asking whether creatine makes you fat, the answer is no. If you want to know whether creatine will help with your fat loss quest then it's hard to answer. It's not going to have a direct impact (it's not going to magically melt fat for instance) but it may help you reach your fat loss goals faster through improved training output and recovery. 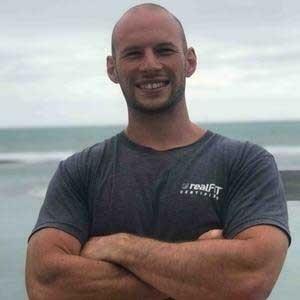 For more resources on fat loss be sure to check out this page. As outlined above, creatine isn't going to directly help with fat loss, but it may have some indirect benefits (for instance increased muscle mass that will help increase resting metabolism). And research has shown that creatine will increase the ratio of lean to fat mass more than training alone (without creatine). Therefore one can conclude that create will help lower your body fat percentage. 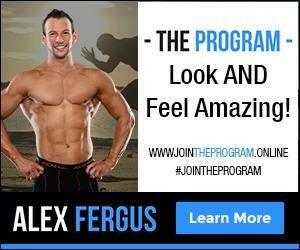 If you are looking for my resource page on Fat Loss, click HERE. Creatine is one of the most researched supplements in the world for a reason... it's widely used, the benefits are huge and it's safe. Based on the evidence I have outlined above, it is clear that there really aren't any reasons for not taking creatine. Even financial reasons are very poor given the low cost of creatine monohydrate. However, at the end of the day, you should make a decision based on your own research and judgement. All the statements made in this blog are supported by peer reviewed studies (you can see the full list above). So fee free to do your own research and draw your own conclusions. Meanwhile, I will continue to supplement with creatine and it will part of my supplement protocol for those on The Program. 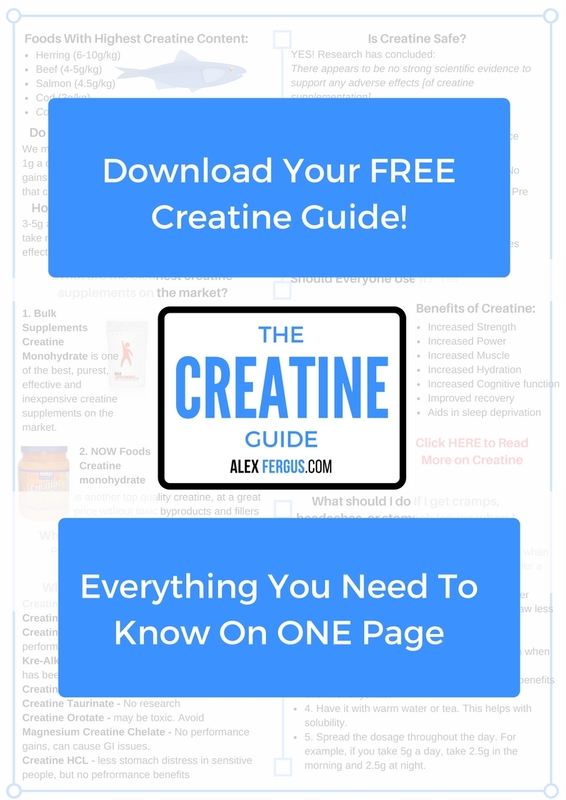 Also, if you are looking for an easy to read, a one-page resource guide on all things creatine, be sure to Download it by clicking HERE. I have condensed all the key findings (from dosages, to brands, to benefits) into one simple to read cheat sheet resource guide. Click HERE to download it. Print this guide out and give it to your clients, your friends, or study it in between sets at the gym. It will save you having to read this 12,000 word blog article! 2. Taylor, E. Howard (1989). Clinical Chemistry. New York: John Wiley and Sons. pp. 4, 58–62. 3. Balsom PD, Creatine in humans with special reference to creatine supplementation. Sports Med 1994;18:268-280. 26. Aizawa K, Iemitsu M, Maeda S, Otsuki T, Sato K, Ushida T, Mesaki N, Akimoto T. Acute exercise activates local bioactive androgen metabolism in skeletal muscle. Steroids. 2010 Mar;75(3):219-23. 63. OECD SIDS, (Organization for Economic Cooperation and Development, Screening Information Dataset), Gluconic acids and its derivatives, http://www.inchem.org/documents/sids/sids/gluconates.pdf. 2004. 68. Effect of two different forms fof creatine supplementation on muscular strength and power. 1998. Michaelis J, Vukovich. 74. Creatine: The Power Supplement 1999.